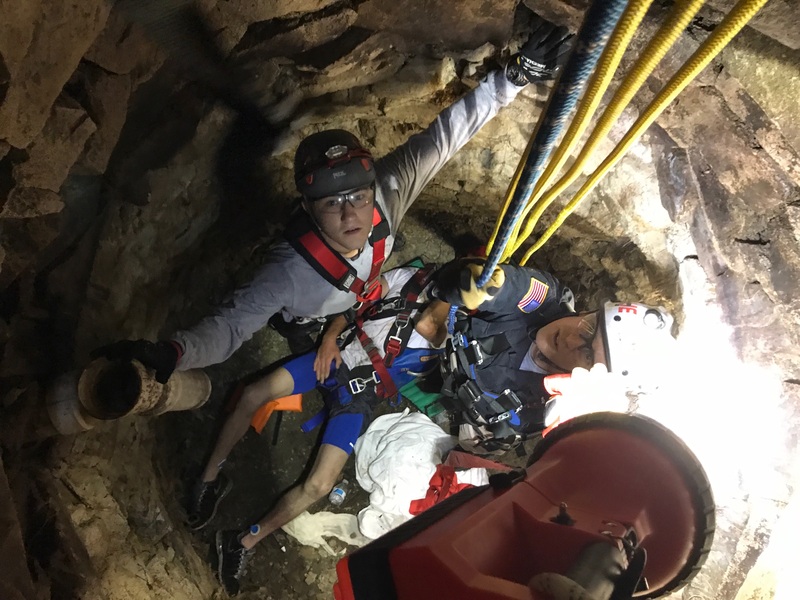 Halifax Fire Fighter Derek Coveney was one of the technicians called into action Tuesday, July 18, when the Cohasset Fire Department requested the Plymouth County Technical Rescue Team for a confined space rescue. 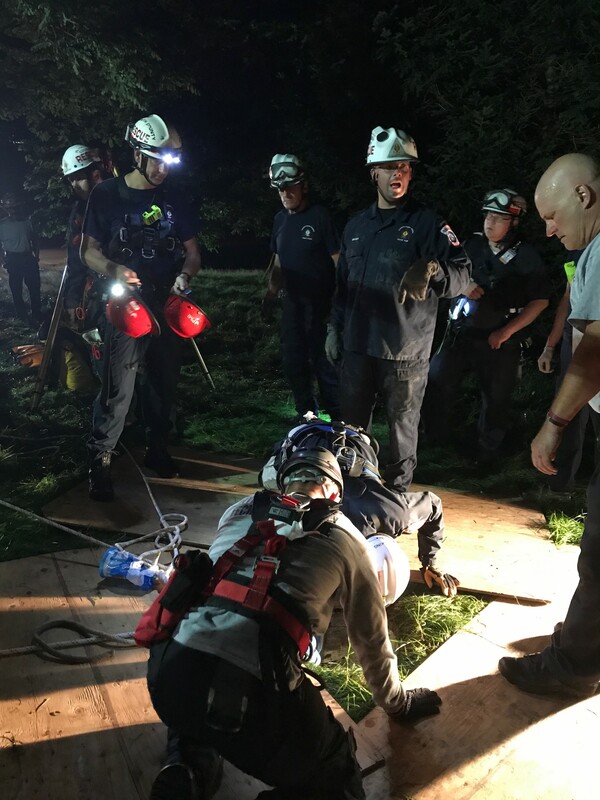 Late Tuesday night a Cohasset man went out to look for his dog and fell 10 – 15 feet into an uncapped abandoned well on Ripley street. When his cries for help were heard, and Cohasset emergency was alerted, the Cohasset Fire Dept. called for the Plymouth County Technical Rescue Team that has specialized equipment and training for this kind of rescue. The rescue took more than two hours. The victim was flown to a Boston hospital for treatment of back and leg injuries. Halifax Firefighter Derek Coveny, a member of the Plymouth County Technical Rescue Team, throws his arms wide in the spirit of victory when they knew the rescue would end successfully. Halifax Firefighter Coveny was one of the technicians lowered into the hole to make the rescue. This type of tight space rescue, where technicians are harnessed and lowered into the space is one of the many rescue situations they have trained for.